Kenneth leads a discussion in philosophy that is not simply focused on big abstract ideas about truth, purpose, meaning, the nature of the soul, happiness and the good life. But rather what philosophy—-and philosophers—-can teach us about how to lead our everyday lives. What are the ethical choices we are making everyday at work, in our families, among our friends? How do we resolve these? What do we need to know in order to do this? How are we to be educated to do this... Learn rules? (No) Be given experiences which educate our virtues—especially our capacity for practical wisdom? (Yes). Kenneth understands the deep, abstract issues and then finds a way to link these to the concrete, everyday particulars of our daily choices. Kenneth's approach to social organizations and institutions has been shaped by field research. Lots of it. Years of on the ground research, participant observation, and interviews: in remote peasant villages of the Dominican Republic (cooperatives, farmers organizations, coffee exporting houses, even the Catholic Church); in the big cities of Mexico (transnational automobile corporate executives, government officials in the key Ministries, local Mexican businessmen in the auto parts industry); in the cities and war zones of Central America (local and U.S. military officers and political officials, church groups, political party leaders, guerillas and former guerrillas); in Washington, D.C. (officials in the Department of State, elected members of Congress, NGOs leaders, top officials running drug prevention policies and drug war policies); in Cambridge, Mass (interviewing doctors in local hospitals as I examined how education reforms were being made in medical school programs); and more. Kenneth Sharpe is the William R. Kenan, Jr. Professor of Political Science at Swarthmore College. His has done research, teaching, and public lectures on practical wisdom in the workplace, professional ethics, learning in organizations, social policy and U.S. foreign policy. 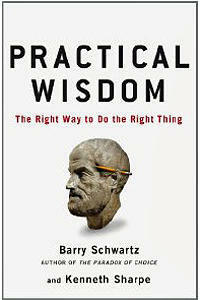 His most recent book is Practical Wisdom: The Right Way to Do the Right Thing (Penguin/Riverhead 2010) co-authored with Barry Schwartz. The book is based on 10 years of research and teaching. Professor Sharpe was awarded a Mellon Foundation Grant in 2002-2003 to spend a year doing the preliminary research on practical wisdom in contemporary life. 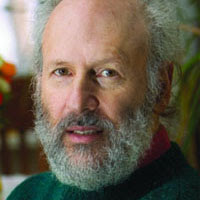 Since 2001 he and Schwartz, a member of Swarthmore’s Psychology Department, have been teaching their popular Practical Wisdom seminar at Swarthmore. The research and teaching first led to their article “Practical Wisdom: Aristotle Meets Positive Psychology” in The Journal of Happiness Studies in 2006. Subsequent teaching and public lectures led them to expand and refine their ideas into their new book on practical wisdom. Professor Sharpe’s previous research focused on public health and social policy in the area of drug abuse and addiction. He looked at the impact of drug control policies and the political obstacles to crafting a more rational and workable public health approach. His major book on the subject is Drug War Politics: The Price of Denial (University of California Press, 1996). He has also written and spoken widely on U.S. foreign policy in the area of counternarcotics. His articles include "Two Wars or One? Drugs, Guerrillas, and Colombia's New Violencia" in the World Policy Journal (Fall 2000), "The War on Drugs: American Democracy Under Assault" in World Policy Journal (Winter, 1990), "Dead End Drug Wars" in Foreign Policy (Winter 1991-1992), and "The Global Drug War: Fatal Flaws," in World Policy Journal (Winter 1996-97).